With tight tolerances available, Warmup had to redesign the level 6 heating system in conjunction with St. George to meet requirements. In addition, to design, supply and install electric floor heating to bathroom floors and walls up to level 5. Thereafter, design, supply and install hydronic systems to level 7 penthouse apartments over Danskin Beam and Batten floor. 200W wall mat installed to enable use of non-heated towel rail in bathrooms. In the penthouse level 6, Tectora suspended system replaced the designed overboard system to meet available tolerances. 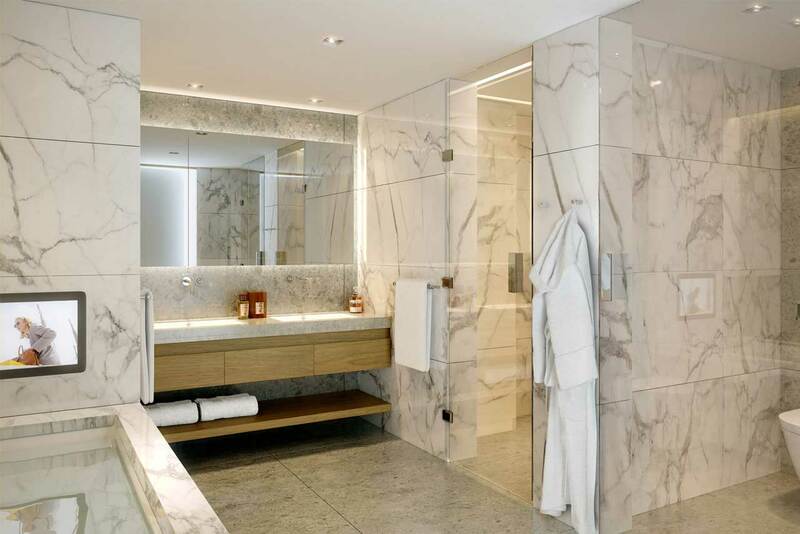 StickyMat system and wall heating was used in all bathrooms throughout the block with Warmup Tectora system installed over Danskin floor on the level 7 penthouse. Design accepted and signed off by St. George and incorporated in all future developments. Floor and wall heating installed throughout bathrooms in premier and platinum apartments.